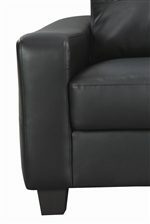 The Jasmine Bonded Leather Love Seat by Coaster at Michael's Furniture Warehouse in the San Fernando & Los Angeles area. Product availability may vary. Contact us for the most current availability on this product. Frame Construction 100% Kiln-dried premium frame. Hardwood solid frame. 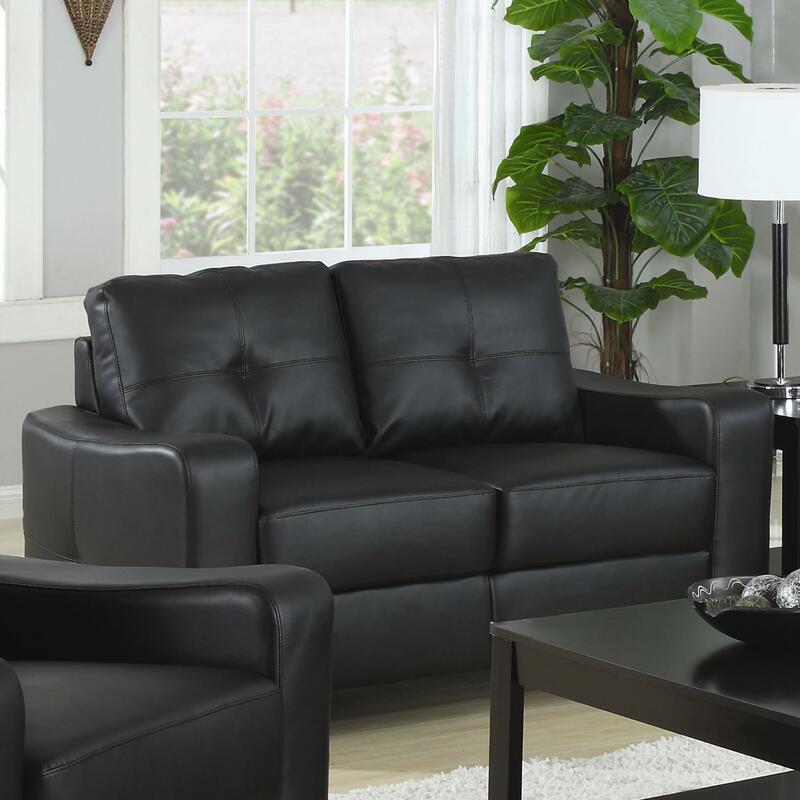 The Jasmine Collection offers smart styling, wrapped in super-soft bonded leather in your choice of dark brown or rich black. The contemporary shape of this collection enhances any space with big, plush cushions, and a slightly flared design that welcomes you with open arms. The Jasmine collection is a great option if you are looking for Contemporary furniture in the San Fernando & Los Angeles area. Browse other items in the Jasmine collection from Michael's Furniture Warehouse in the San Fernando & Los Angeles area.